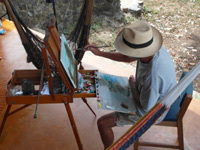 Casa Buena Art Retreat between Puerto Vallarta and Mazatlan, Mexico is a calm and beautiful place to relax, rejuvenate and explore your creative energy. 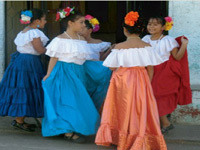 The colorful villages, pristine beaches, tropical jungles, and the sounds and smells of daily life take you right into the heart of authentic rural Mexico. 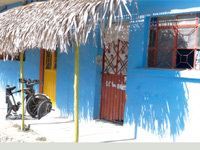 Fishermen, tortilla makers, street sweepers, donkeys, and bicycles, all add to the colorful animated village life. 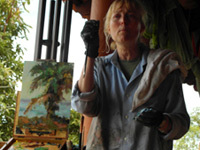 At Casa Buena Art Retreat we offer fun and informative art vacations. The charming setting of the Mexican back country near old Port San Blas and two hours from Puerto Vallarta is a motivating and inspirational backdrop in which to create and learn, from some of the best instructors from around the world. 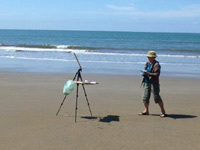 Choose from art workshops, yoga and dance retreats, for groups, couples or individuals. Experience a unique, affordable and creative vacation by the Pacific Ocean. Learn something, create something, have a good time, and take your experiences home with you, in both artworks and in memories. 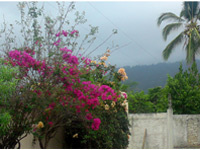 We offer our spacious and well-appointed home with hacienda veranda and beautiful tropical garden. We provide three meals a day, comfortable accommodations in private rooms, local transportation and entertainment. 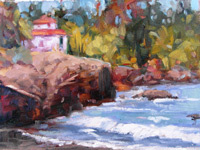 "Simple, Simple, Simple" is Bobbi's teaching and painting philosophy! 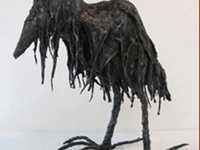 Alberta Whisky Cake (Kamla Hari McGonigal) and Casa Buena are offering a full scholarship for one of the Art Retreats of 2019 - 2020 Please contact janerom@shaw.ca for more information. available from Nov 15 to May 15.
in Mexico between Puerto Vallarta and Mazatlan.